Earlier this year, MediaTek launched the Helio P60 chipset which came with a built-in AI processing unit and a few weeks later, also lifted the covers from the MediaTek MT6739 SoC that promises to bring Face Unlock to low-end devices. The Taiwanese semiconductor company has now launched a new chipset in the Helio P-series, dubbed the Helio P22, which is targeted at mid-range smartphones with dual camera set-ups and require AI application processing. 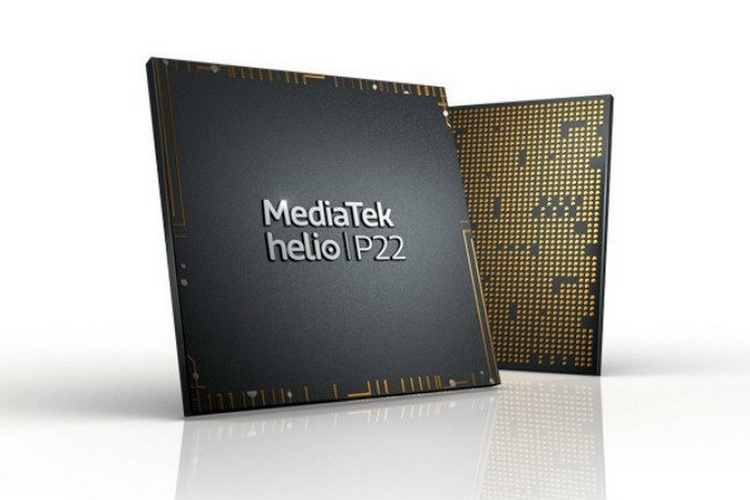 According to MediaTek’s press release, the Helio P22 is the first chipset manufactured using the 12nm process that will be fitted inside mid-range smartphones, and promises to bring superior photography output, faster connectivity and AI-backed features to the segment. The new 64-bit SoC is manufactured using TSMC’s 12nm FinFET technology and features an octa-core architecture consisting of ARM Cortex A53 cores clocked at 2.0 GHz, which offer high performance with superior power efficiency. The new SoC has support for dual SIM (dual VoLTE) connectivity and up to 6GB of LPDDR3 and LPDDR4x RAM. It also brings the faster Bluetooth 5.0 to the table, and comes with a number of MediaTek’s proprietary technologies such as CorePilot, Imagiq, and MiraVision to name a few. 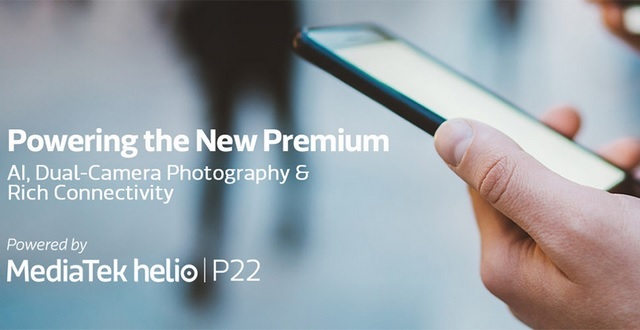 As far as imaging capabilities are concerned, the Helio P22 has support for dual camera set-ups (13+8MP) as well as a single camera of up to 21MP resolution, where the SoC can do the heavy-lifting for effects such as background blur and depth perception. The Imagiq suite on the Helio P22 is backed by a new hardware depth engine, which as you can imagine is ideal for bokeh photo processing in dual camera phones. It can simulate bokeh effects for phones with single cameras. The new ISP will also offer superior low-light photography results, multi-frame noise reduction, and enhanced zoom, MediaTek claims. The chipset features a dedicated Camera Control Unit (CCU) for quicker exposure adjustment in variable lighting. The Helio P22 packs the new IMG PowerVR GE8320 GPU which has a peak frequency of 650MHz and supports video encoding and playback at 30 FPS with Full HD resolution. MediaTek claims the chipset brings benefits of AI-processing at ‘a remarkably affordable price’, thanks to the MediaTek NeuroPilot system which is compatible with popular AI frameworks such as TensorFlow and TF Lite. Moreover, support for features such as Face ID and smart photo album are also on-board, and there is also a new Rolling Shutter Compensation (RSC) engine to power MediaTek’s Electronic Image Stabilization (EIS) system, along with any OIS in the hardware. Vivo has already launched the first smartphone equipped with the new Helio P22 processor in the form of the Vivo Y83 in China. More smartphones from different OEMs packing the Helio P22 processor are expected to hit the market soon.